Every creative agency looks to make money from its big ideas. However, every administrative function - from new business through to final reporting – with all the estimating, time trafficking and billing in-between – can also drive profitability, if done accurately and efficiently. Synergist is so quick and simple to use that it allows you to perform all these jobs, whilst also letting you focus on delivering truly creative solutions to your client (the part of your working week you really enjoy). And not only do you receive the software you need to achieve this, all systems are also supplied with the training, support and industry understanding you require to see real business benefits. 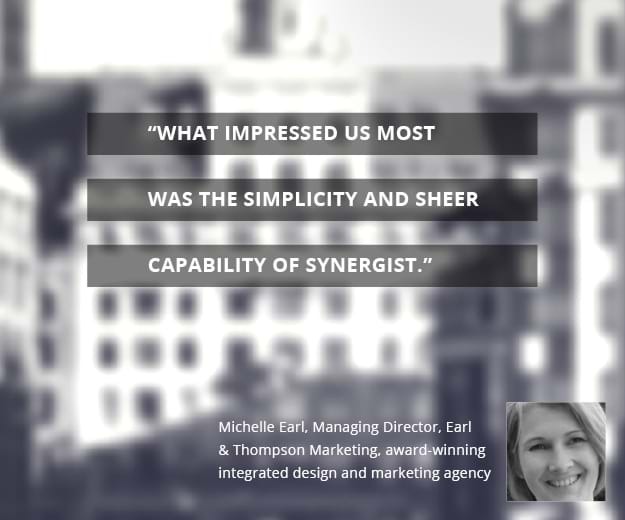 Synergist believes in fostering practical and profitable working relationships – and this approach has seen the number of independent creative and advertising agencies and agency groups using Synergist grow to over 350. Much of this growth has been achieved through simple word-of-mouth recommendations. See how we can make job tracking easier.